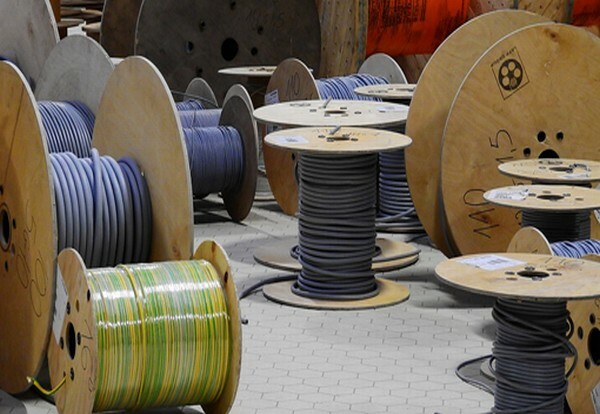 Prysmian Group, the largest manufacturer of electrical cable in the UK and part of the largest global cable manufacturer, has been campaigning for many years to make the manufacturing and importing of substandard electrical cable into the UK illegal. Industry estimates that 20% of all the cable in the UK is substandard, non-approved or counterfeit (Figures from the Approved Cable Initiative) and that some 4,000 fires in buildings each year are down to faulty electrics (From Home Office Fire Statistics for 2015/2016). “As a responsible manufacturer, Prysmian ensures that all of its products conform to the most rigorous quality standards and we are appalled that substandard and dangerous cable is still allowed into the UK market. The new European Construction Product Regulation (CPR), which came into effect in July 2017, is a step in the right direction. CPR makes it a legal requirement for cable sold in the UK to carry documentary evidence from the manufacturer identifying exactly which standards it conforms to – but even this regulation does not apply to all types of cable. There is a clear need for straightforward legislation that makes it illegal to import, sell or install cable that is not manufactured and tested to approved and declared BASEC quality standards. Plastics are now the dominant material in hot and cold-water supply systems inside buildings. Data from Pipes and Fittings Market Report – UK 2016-2020 Analysis shows that use of plastic piping systems for water supply in new build is now up to 60%. An upward trend is similarly being seen, and predicted to continue, for heating with the availability of barrier and multi-layer pipes for central heating and the energy efficiency benefits of warm water underfloor heating (UFH) in providing space heating at lower water temperatures. While their flexibility, their quick and simple jointing and the added safety of no hot working have all driven this growth, with the large amount of pipework of different materials in existing buildings, it is definitely an advantage to be able to combine plastic with, for example, copper piping systems. 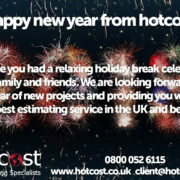 Bathrooms and kitchens are generally replaced due to lifestyle and design choices, and central heating boilers due to system efficiency and lifespan every ten–15 years. Plastic plumbing system manufacturers provide fittings that form reliable joints from plastic pipes to copper and other metallic pipes, which is a boon when refurbishing older properties. 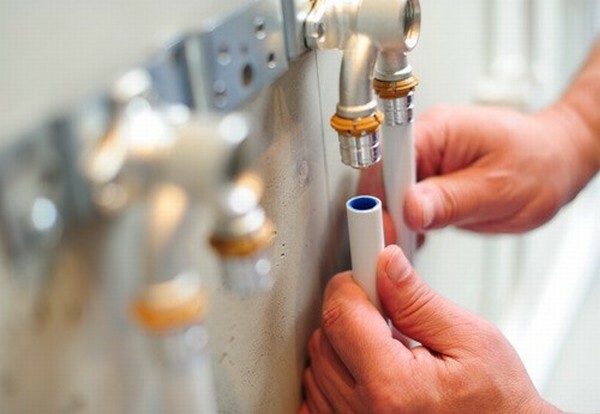 Over a property’s lifetime, the plumbing system can transition to plastic piping with the many in-service benefits of low thermal conductivity (safer to touch), low noise transmission (no creaking pipes), smooth bore (minimises limescale build-up), thermal expansion (reduced risk of bursts during frosts) and inherent corrosion resistance (cleaner heating system). Well-engineered joint designs have made plastic piping very easy to work with and so, the material of choice for busy plumbers and larger-scale installers. Pipe coils can easily be cut to size, offering flexibility for even the most awkward applications – threading through joists, sitting beneath floors – and with a wide range of push-fit, press-fit and welded joints, ensure that connections are secure and leak-tight. Gareth Samuel, of BPF Pipes Group, said: “As installer confidence grows, so do the number of applications in which we now routinely see plastic piping systems. The BPF Pipes Group guidance on the use of plastics for discharge pipework from unvented hot water systems sets out the range of materials which can safely be used for discharge pipes and soil stacks taking discharges. MoneySuperMarket reveals that the nation has deep concerns about the impending smart home revolution, despite the likely cost savings. 76% of Brits admitting to being ‘fearful’ of the smart homes concept, with unapproved data collection cited as the greatest worry. 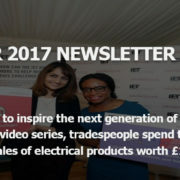 The UK’s leading price comparison website polled over 2,000 people to get the nation’s opinions on smart home technology and the so-called Internet of Things. 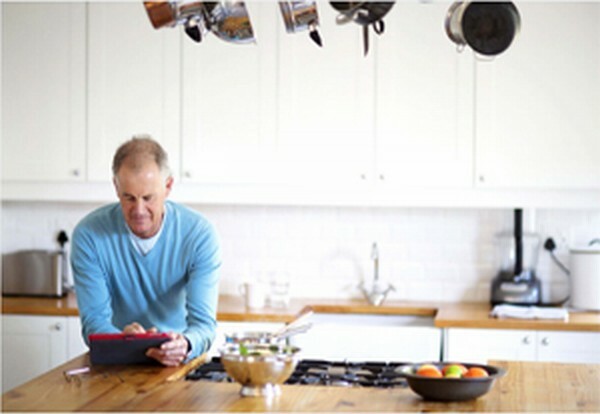 The research found that whilst the majority (77%) of Brits had heard of a ‘connected’ home, only 6% claimed to know a lot about smart home technology. The most popular gadget was a smart TV, with 30% of Brits owning one, followed by a smart energy meter (16%). 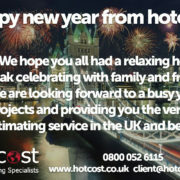 However, when asked what smart home gadget they would like to see invented, Brits were both practical and imaginative. Answers ranged from self-cleaning ovens (29%), self-emptying bins (11%) and self-pouring wine fridges (5%), to smart dog walkers and self-emptying dishwashers. More outlandish suggestions included auto-spray devices that would deal with cold callers and robot dogs with the ability to do chores. Smart home technology focused on home security and fire prevention benefits insurers as it reduces claims, with insurers then able to pass these savings on to consumers. 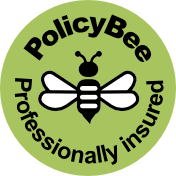 58% of Brits said they would buy a smart device if helped them save money on their home insurance. To help consumers understand the facts about smart homes and see how they could benefit, MoneySuperMarket has launched its Connected Homes Hub. The Department for Business, Energy and Industrial Strategy (BEIS) has announced Boiler Plus, which encourages energy efficiency by mandating requirements for heating systems, setting out new expectations regarding what both manufacturers and installers have to deliver. Alongside a host of other measures, this policy will require a new minimum performance standard for domestic gas boilers in English homes of 92% ErP. The ErP Directive aims to phase out poorly performing products across a range of product groups to reduce carbon emissions across Europe, with the ultimate goal of achieving the EU’s 2020 targets. The premise of the legislation is that it will encourage, and enable, householders to make informed decisions about the products that best meet their needs. 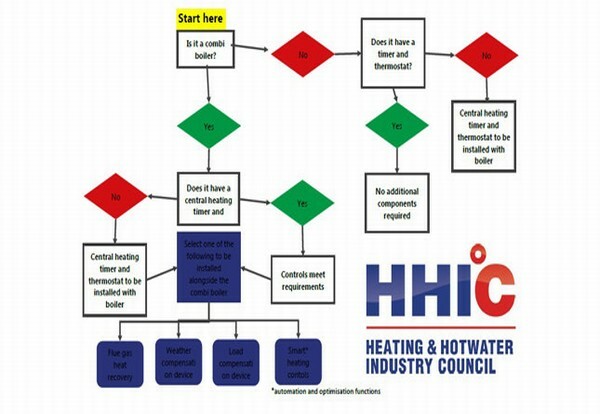 The degree of flexibility in terms of which entities render a new boiler ‘compliant’ means that the diversity of the house stock and needs of the consumer are catered for. Given the extent to which domestic heating contributes to emissions, the new standards, coming into effect in April 2018, will help reduce carbon emissions by 2 MtCO2e in the fourth Carbon Budget and 3.2 MtCO2e in the fifth Carbon Budget, and encourage consumers to prioritise the thermal comfort and energy efficiency of their heating. Organic waste like bananas and potatoes could soon be used as building materials. 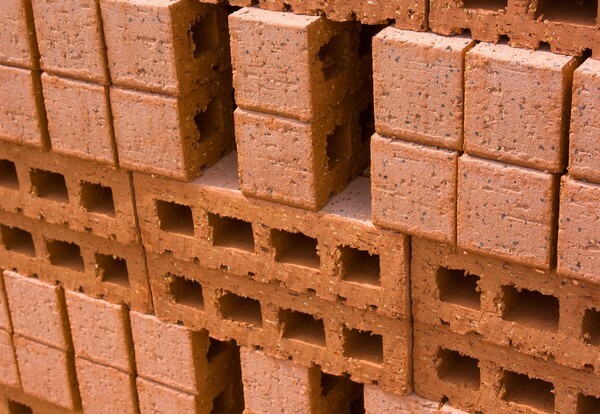 Consultant Arup believes millions of tonnes of food waste could be turned into lower-CO2 products such as bricks, insulation and partition boards. Current organic materials under development include mushroom bricks grown in five days and waste potatoes used as insulation and acoustic absorbers. Arup has created the Solar Leaf – the first façade system in the world cultivating micro-algae to generate heat and biomass and BioBuild – the first self-supporting façade panel made out of bio-composite materials. Guglielmo Carra Arup’s Materials Consulting Lead, Europe said: “As one of the world’s largest users of resources we need to move away from our ‘take, use, dispose’ mentality. “There are already pockets of activity, with some producers making lower-CO2 building products from organic materials. “What we need now is for the industry to come together to scale up this activity so that it enters the mainstream. For a full copy of the report The Urban Bio-Loop: Growing, Making and Regenerating click here. Peanuts: shells are being used to produce low-cost materials, such as partition boards that are resistant to moisture and flame retardant. Rice: rice husk ash can be mixed with cement to reduce the need for fillers. Rice can also be used as a raw material for the production of boards. Banana: banana fruit and leaves are being used to make rugged textiles. Bananas contain high strength fibre and have good acoustic absorption and durability. Potato: the peel from potatoes can be cleaned, pressed and dried to create a low-weight, fire resistant, water repellent, insulating material and acoustic absorber. A call by London mayor Sadiq Khan for a ban on wood burning stoves in some areas of the capital has been challenged by Specflue. According to a report in The Guardian on September 29, Mr Khan said: “Non-transport sources contribute half of the deadly emissions in London, so we need a hard-hitting plan of action to combat them similar to moves I am taking to reduce pollution from road vehicles. Ian Sams, commercial director of Specflue, believes Mr Khan is focusing on the wrong target. 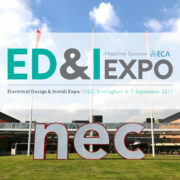 Dennis Milligan, head of communications at the Stove Industry Alliance (SIA), said: “Eco-design, a measure introduced by the European Commission to improve the efficiency of appliances and lead to lower emissions, covers a wide range of emissions from PM to carbon dioxide, NOx, other carbon gases compounds and carbon monoxide. “Although there is no obligation for stoves to meet the stringent emission limits set out in Eco-design until 2022, the SIA has taken the initiative by making ‘Eco-design Ready’ stoves available now. Research from Kings College London suggests that, in winter time, wood burning accounts for about ten per cent of the PM emissions in London. But a survey of 1,000 users of wood burning stoves and open fires throughout the UK found that 70% of the wood burned in London is burnt on an open fire. 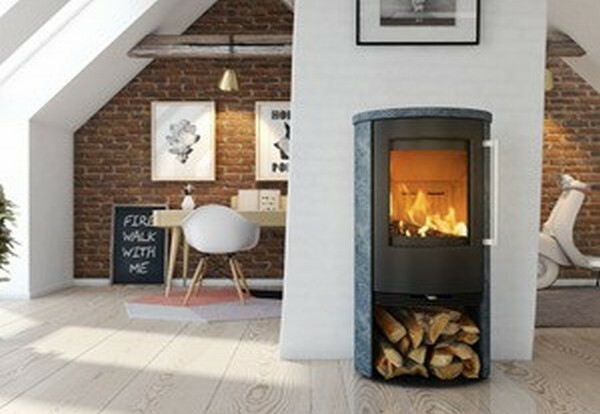 An ‘Eco-design Ready’ stove reduces emissions by 90%, compared with an open fire. 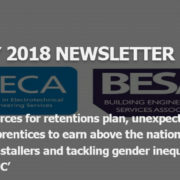 UK Construction Week brought together a wide spectrum of the construction trade together over three days at the NEC Birmingham (10-12 October). Ahead of the event, UK Construction Week conducted a Brexit survey from over 2,500 industry leaders. The survey canvassed architects, contractors, SME builders, surveyors, engineers, local authorities and many more. According to a new study by AXA, the private rental sector has seen a rapid improvement in energy efficiency over the past two years, but properties are not meeting standards. The number of worst-rated properties has halved, and rentals come out better on boiler upgrades, insulation and smart meters than owner-occupied homes. Despite this, one in twenty rentals still breach minimum standards set to come into force next April. These pockets of inefficiency mean that tenants are over-paying on energy by an estimated £13 million every month. Energy is certainly a priority for UK tenants, as cold and damp were named the biggest bugbears by 43% of those surveyed. A quarter said they felt they were paying excess bills due to the energy inefficiency of their homes. The study found that one in 20 rental properties pose an “excess cold hazard” to residents as they fall into the worst-rated bands F and G. This means that more than 200,000 homes are now at risk of being banned from the private rental market next April when minimum standards come into force. Just how much these failing homes are costing tenants was revealed by analysis of their monthly bills. 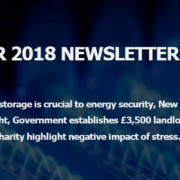 The average monthly bill in a Band A rental is £61 per month, increasing to £76 in Band E, and then £112 in Bands F to G. This means that UK tenants are still paying for energy failings to the tune of an estimated £13 million every month. The good news is that the number of failing properties is declining fast. The study found that the number of F and G banded rentals has halved since 2015, when official estimates put them at one in 10. More than half of tenants surveyed by AXA said their current rentals are in bands A to C.
Gareth Howell, Managing Director at AXA Direct, said: “Our study has found that landlords are making significant investments into improving the energy efficiency of their properties. 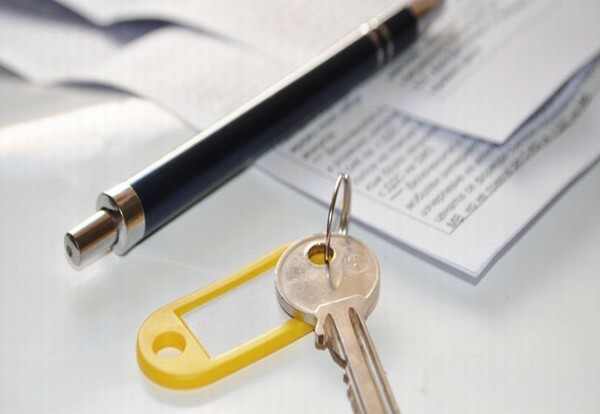 This is part of a bigger trend: when we look at our surveys of tenants and landlords over the past five years, we see progress across the board – on security, maintenance and numbers with proper tenancy agreements in place. easyJet, Europe’s leading airline and US company Wright Electric have set themselves the challenge of building an all-electric commercial passenger jet capable of flying passengers across easyJet’s UK and European network within a decade. 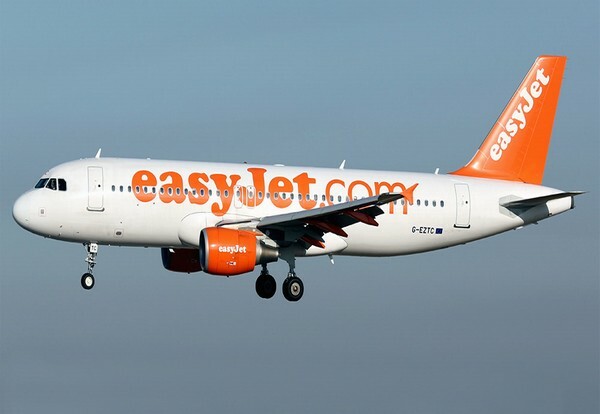 Finally, easyJet announced it will offer inflight entertainment for the first time with ‘Air Time’ – offering passengers prime time content on their devices for free. Tech giant HP has launched a virtual reality backpack with major potential uses in the construction industry. The Z VR Backpack is wearable as a workstation and connects easily to VR goggles. 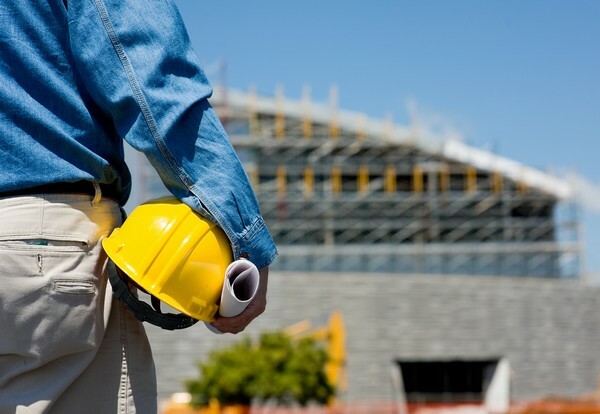 It means construction professionals can wander easily through buildings enjoying a virtual walk through simulating any stage of the build process. The backpack will be making its UK debut at Digital Construction Week alongside all the latest hi-tech industry innovations. 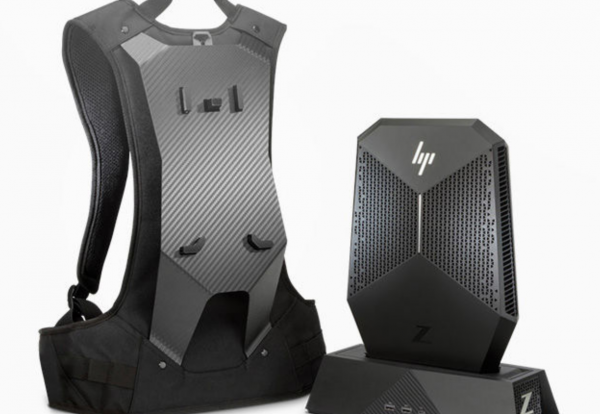 It has been developed from an original model designed for gamers after HP realised the potential for business users. A Digital Construction Week spokesman said: “Use of VR technologies has increased dramatically across the built environment in recent years. “Applications have moved on from basic stakeholder engagement to in depth walk throughs and project delivery planning to use in health and safety and onsite training.